The technoid vision, as expressed by various pundits of electronic media, seems to be this: tomorrow's world will be terribly complex, but we won't have to understand it. Fluttering though halestorms of granular information, ignorant like butterflies, we will be guided by smell, or Agents, or leprechauns, to this or that pretty picture, or media object, or factoid. If we have a Question, it will be possible to ask it in English. Little men and bunny rabbits will talk to us from the computer screen, making us feel more comfortable about our delirious ignorance as we flutter through this completely trustworthy technological paradise about which we know less and less. To give up on human understanding is to give up hope, what we call in English "a counsel of despair." I think there is hope for much better and more powerful software designs that will give ordinary people the power over computers that they have always wanted - power with complete understanding. But that requires inspired software design, which I believe is art and not technology. I believe the technoid vision does not comprehend what is humanly desired, humanly needed, and humanly possible. Especially the need and possiblity of human understanding. So excuse me from the butterfly crowd; I hope you will come with me to where understanding may be found. This quote from Ted Nelson's 1997 book makes a point similar to Nelson's closing point in his July 2014 interview with Gardner Campbell as well as statements in his 2011 Possiplex autobiography, and 1975 Computer Lib / Dream Machines. Nelson sees computer technology as a medium for creative expression, not an end in itself, or a cheap replacement for human creativity. He cites film directors among his primary inspirations and heros, noting that his personal ephipany came in the early 1960's when he learned that it was possible to connect computers to screens. Nelson invented the terms hypertext and hypermedia to describe the new capabilities that he envisioned. During his 2014 interview Nelson cited the example of Orson Wells. For Ted Nelson, what you see on a computer screen and interact with should be the result of human creative intelligence applied through the use of new engines of expression over an endlessly evolving intertwingled corpus of literature. Using Nelson's cinema analogy, history put him in a position where he would have to invent the motion picture camera to achive his goals, but I believe his motivation was to become the seminal director and intellectual father of the new media which are his earliest and most influential inventions. I am not a programmer, but a designer-director of software (like Doug Engelbart and Steve Jobs, but with far fewer resources). Every delivery is a negotiated reduction of a vision against resources, technical restrictions, and time. Intertwingled, The Festschrift-- Ebook celebrating Ted Nelson Day at Chapman University, 2014 (Springer-Verlag) (via @TheTedNelson, 12 Jul 2015) A free Springer ebook edited by Douglas R. Dechow and Daniele C. Struppa. Chapters by Alan Kay, Brewster Kahle, Belinda Barnet, Ken Knowlton, Dame Wendy Hall, and others. Closing chapter What Box? by Ted Nelson. I highly recommend this book. 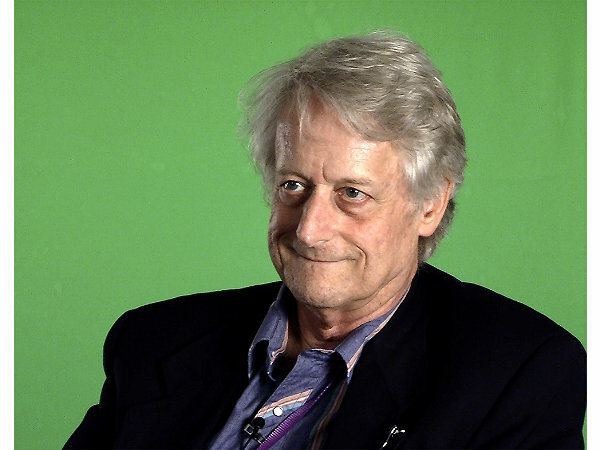 Living The Dreams: A Conversation With Ted Nelson Published on Jul 5, 2014. Dr. Ted Nelson speaks with Dr. Gardner Campbell about research, fantics, computer liberation, and the ongoing struggle between schooling and learning. A conversation undertaken in support of "Living The Dreams: Digital Investigation and Unfettered Minds," a digital engagement pilot of Virginia Commonwealth University's UNIV 200, Inquiry and the Craft of Argument. Ted Nelson talk - Possiplex book launch From Welcome to Possiplex : An Autobiography of Ted Nelson party at the Internet Archive on Oct 8, 2010. Possiplex: Movies, Intellect, Creative Control, My Computer Life and the Fight for Civilization, an autobiography of Ted Nelson, Mindful Press, Feb 2011. Triangulation 164 - Conversation with Ted Nelson Leo Laporte's July 2014 conversation with Ted Nelson, broadcast Aug 18, 2014 on TWiT.tv. On hypertext, Xanadu - and being a media guy. "To me, all media are alike. You think about what are the effects you want - and you think about what are the technicalities it will take to give you those effects. So when I took a computer course in graduate school, I thought 'Holy smoke, you can put interactive screens on them'... Interactive screens were instantly obvious to me." Computer Lib / Dream Machines A brief description of Ted Nelson's 1974 book. Ordering information for an authorized 2014 replica reprint, which I highly recommend. Ladies and gentlemen, the age of prestidigitative presentation and publishing is about to begin. Palpitating presentations, screen-scribbled, will dance to your desire, making manifest the many mysteries of winding wisdom. But if we are to rehumanize an increasingly brutal and disagreeable world, we must step up our efforts. And we must hurry. Hurry. Step right up.